Wednesday, we had reservations at Andre's for 7 o'clock. When we arrived it was nice to be so warmly welcomed "Oh, right this way. We have a table ready for you." And sure enough, we were seated a table set for three. Little touches like this don't go unnoticed. 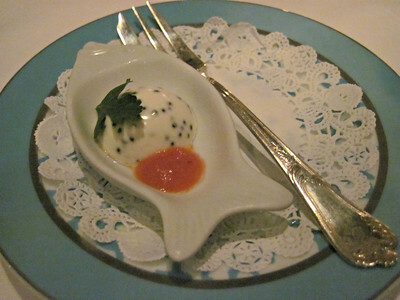 To get us started we received a amuse bouche a caviar creme palette cleanser. Breads followed, and we tacked on the wine pairing for $25. Reisling, Chardonnay, A French red with a name that escapes me and a dessert Reisling. 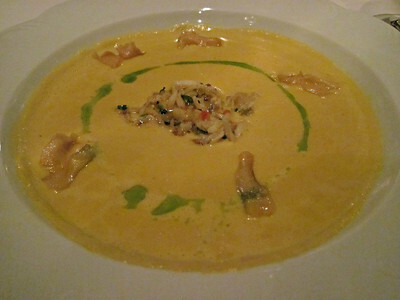 Our first course was Roasted Corn Soup with Warm Crab Salad, Garlic Chips and Chive Oil a beautiful soup with delicate flavors. 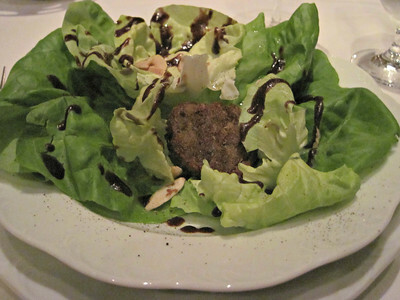 Next, was Butter Lettuce Salad with Crispy Duck Confit, Toasted Almonds and Cherry Vinaigrette. Clean and crisp, with a hint of richness just to be naughty. 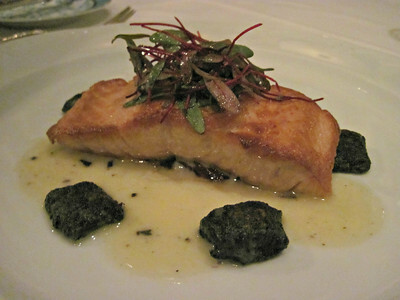 Seared Scottish Salmon with Spinach Gnocchi, Heirloom Tomato and Truffle Beurre Blanc and Grilled Rib Eye Cap with Anna Potato, Broccolini and Horseradish Beef Jus. 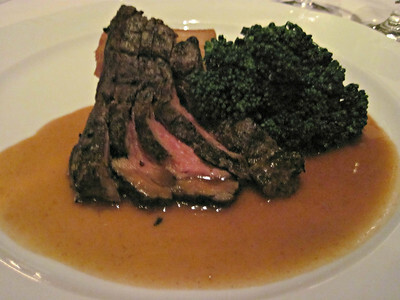 Both dishes were cooked to perfection and nicely prepared. 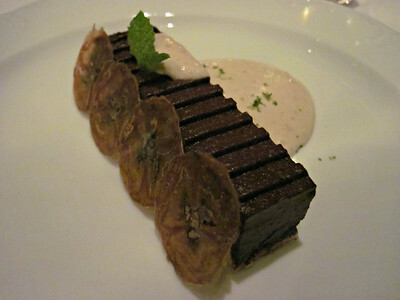 We finished with Cocoa-Nut Marquise with a Banana-Lime Sabayon for dessert. This was a decadent dish without being overly sweet. Tartness from the lime helped to balance the flavors and the banana flavor added a playful element. Food and service were solid. Andre's is a class act through and through. Andre's isn't this in the Monte Carlo Casino? It is. It's a great choice for a celebration.